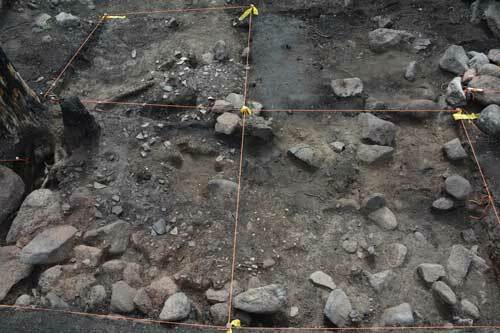 A wildfire high in the alpine forests of northwestern Wyoming has revealed a vast, centuries-old Shoshone campsite, replete with cooking hearths, ceramics, and stone tools and flakes numbering in the hundreds of thousands. The site, found along Caldwell Creek in the Absaroka Range, had likely been used intermittently for as much as 2,500 years, archaeologists say. But most of the artifacts point to a prolonged and impactful presence by the Mountain Shoshone some 300 to 400 years ago. 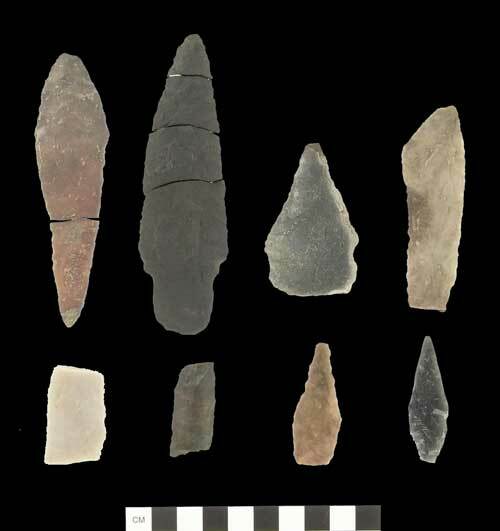 “We have documented small arrow points, pottery sherds, bone tools, distinctive bifacial knives, grooved mauls, and hundreds of thousands of tiny chipped stone flakes,” she said. 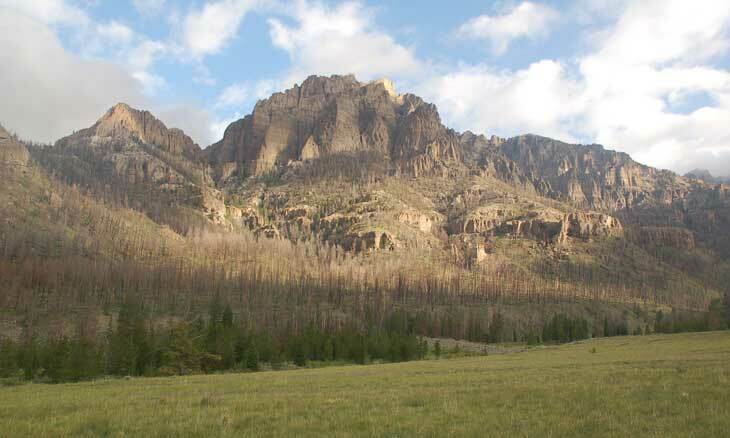 The camp was first discovered after the Norton Point fire, which burned 23,000 acres in the Washakie Wilderness in the Shoshone National Forest throughout the summer of 2011. When the trails in the area were re-opened that fall, archaeologist Larry Todd went to survey the burned ground and found “many newly-exposed sites radiating out from an extremely-popular modern trailhead and campground,” Scheiber said. In time, Scheiber, who has spent more than a decade studying alpine sites in the Absaroka range, was called in to help study the site in depth. Reaching it required a four-mile hike from base camp with pack mules and horses at an altitude of 8,300 feet, but the scene that awaited Scheiber and her team was worth it, she said. “It was obvious that we were camping on top of an archaeological site,” said Scheiber, who described the ground where the burn had been most intense as a “carpet” of stone artifacts. “On the black ground were thousands of exploded red and orange and yellow pieces of chipped stone artifacts. Some of the artifacts were projectile points fashioned in a style that’s at least 2,500 years old, Scheiber said. But the bulk of what remained were stone tools and ceramics made and used by the Mountain Shoshone, likely a few centuries before contact with Europeans. Taken whole, the scene provides a deep view into the history of the Tukudika people, once known as the Lemhi or Mountain Sheepeaters, whose modern descendants include members of the Shoshone-Bannock and Eastern Shoshone tribes. “The site did indeed prove to be a late period Mountain Shoshone campsite, with triangular arrow points, beveled knives, sherds from at least three different ceramic vessels, large grooved mauls, ground stone, and dozens of bifaces in different stages of production and use,” Scheiber said. Thousands of years of use have made the site a palimpsest of artifacts, which makes it difficult to discern one period of occupation from another, she noted, but a few areas of the campsite stand out in bold relief. “For instance,” she said, “on the other side of camp is another incredibly complex site, where people left behind thousands of pieces of chipped stone in a primary reduction area, reducing locally-available chert cobbles into manageable pieces. Upstream from there, she added, a series of hearths was found, along with a Shoshone knife and what appears to be a grinding rock. Perhaps most striking, the site also included hundreds of fragments of Intermountain Ware, the thick, flat-bottomed pottery that’s distinctive of pre-contact Shoshone culture. In addition to big-picture issues about the history and movement of the Mountain Shoshone, the campsite at Caldwell Creek also offers glimpses into their day-to-day lives hundreds of years ago, Scheiber noted. “Excavations at the Caldwell Creek site have revealed a tremendous variety of artifact types and hence, of people’s activities,” she added. 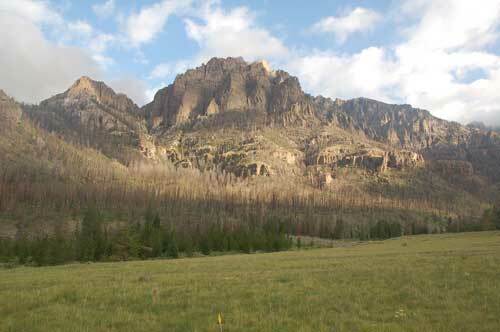 In all, the site uncovered by the Norton Point wildfire is a microcosm of pre-contact Mountain Shoshone life, Scheiber said. Since her study was first conducted, the forest has reclaimed the surface of the site, she noted, re-covering it with new grass, wildflowers, and brush. (She added that it is illegal to collect artifacts on federally protected lands without a permit). But its lessons are manifold, from the new insights it provides into the migrations and lifeways of the Mountain Shoshone, to the need it demonstrates for more study of high-altitude sites like it. “Mountains are often identified as the ultimate wilderness,” Scheiber said. “The Shoshone world in particular in the Central Rockies is broader than previously imagined,” she said. This is so educational and thank you. I come from an area where the Shoshone Bannock lived in Salmon, Idaho and Fort Hall between Blackfoot and Pocatello, Idaho. Thank you for publishing this very interesting reaserch. What a rich discovery! Although I highly respect archaeology and the hard work of these scientists, I would have appreciated knowing if the researchers contacted the 9 tribes of Shoshone active today about these finds of their ancestors. Now this kind of news is most worthy to read. I bet it is exciting to work these finds. Thank you for posting.